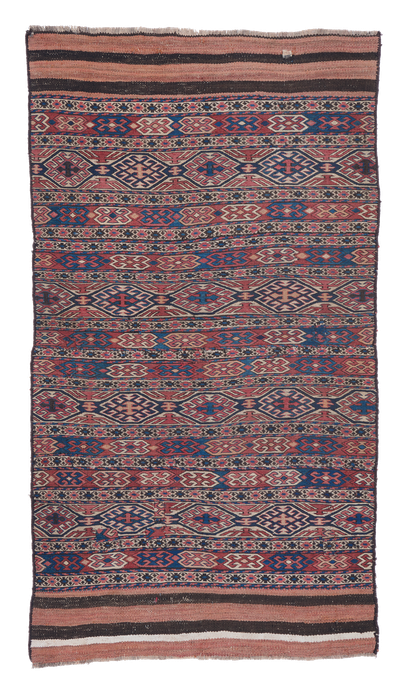 Very finely woven, all vegetal dyes and wool warp and weft kilim in soumak technic; this nomadic piece comes from the Shahsavan pastoral culture. 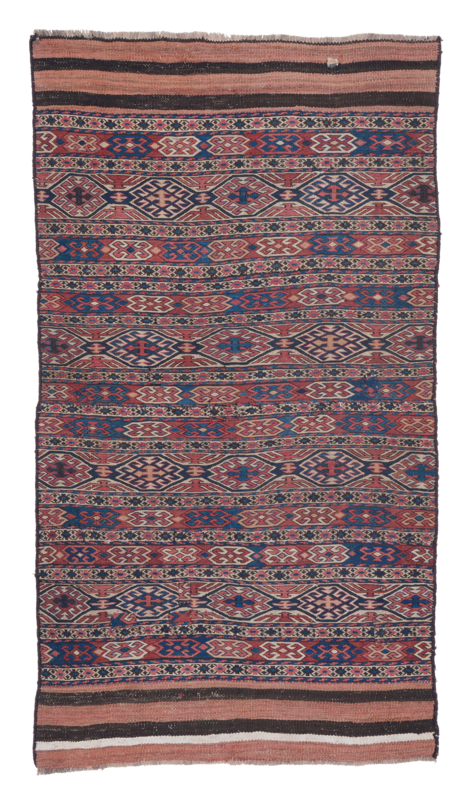 Original kilim endings. Good condition for the age but with some repairs and sign of wear.